To pay your tuition online, please follow the three easy steps below! 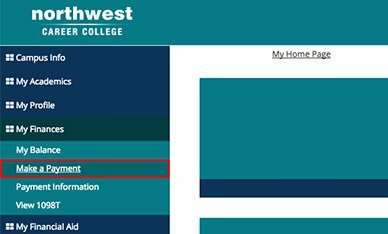 Go to your Student Portal and login with your student ID (.edu email address) and password. If you don’t have an account or email, please call (702) 254-7577 for help. 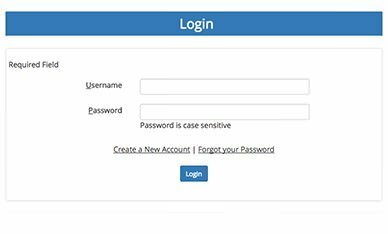 Once you login, you will see your student dashboard. Navigate to the menu on the left. Select My Finances. 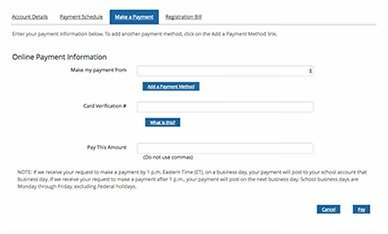 Click Make A Payment from the dropdown. Click on Make A Payment and follow the prompts to pay your tuition. Thank you!